I have written often about the profound initiation that occurs to each of us around the age of thirty years of age at our first Saturn Return. There is another earthshaking initiation, and that is birth itself. And I am not talking about your or my birth, but rather what our birth meant to our mother and father. Birth is also a profound initiation for mom and dad, especially if the birth is the first child. Becoming a mother or a father is a very special club, with membership valid anywhere in the world. A mother can talk to any other mother about babies, but I find fathers have less awareness of the whole event. I thought to put some of my recollections and thoughts together about the subject. If you have ever attended a live birth as a father, you well know that at that time your wife is totally occupied, probably beyond anything in your experience, and that you find yourself there only in a supporting role. You may be used to being the main event in her life, but at a birth (and for some time after that) you will be taking a back seat in the family hierarchy. Of course your wife still loves you, but she loves another also. Speaking personally, at the birth of my first child, I was stunned by the experience. I was used to being the darling of my wife's attention (at least in my own eyes), and was unprepared for her to turn her attention within in such an undistracted and total way. I almost felt like I shouldn't be there. It was a totally new experience. I didn't resent it, but just felt unneeded. That was just insecurity talking on my part. I was happy of course for her and for the awe-inspiring experience of the birth of our first child. Yet aside from supporting the process, there was about nothing there I was really needed for, and I like feeling needed. Now, I may have taken this experience in my typically selfish way, but the experience I am describing is a universal one. If you look past the pettiness of my fears, you find something happening here that all men share, the fact that the man also gets initiated through the birth process. When a mother has a child, both mother and father are changed by that experience. And although it comes to a head in the birth, the entire time surrounding the birth, before and after the actual birth moment, is charged with change, actually more like a transformation. And the change is absolute, pretty much irrevocable. Both mother and father are changed, but differently. 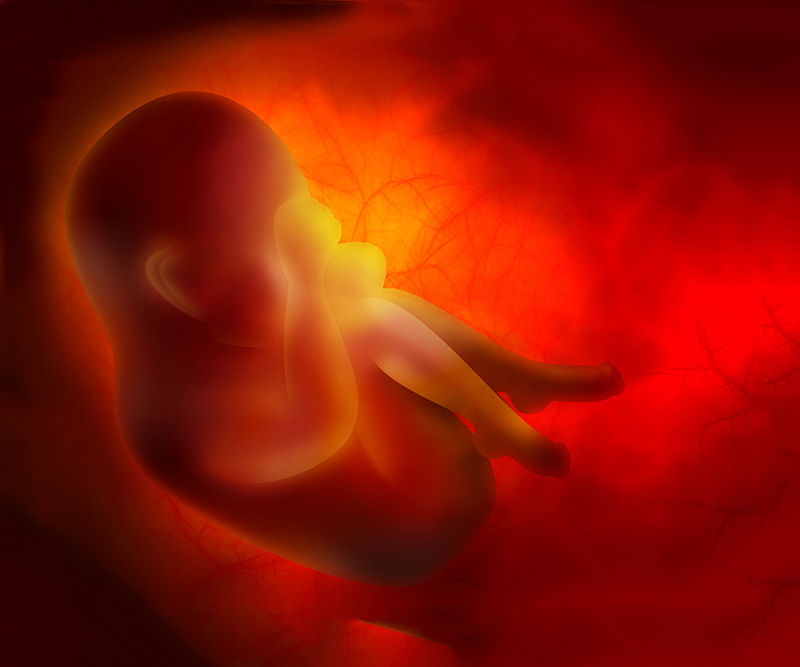 During pregnancy and birth, the mother's primary attention obviously transfers from her husband onto their child. Observing any mother with a young baby will show this. But what about dad? How does dad adjust to the fact that he is no longer the 'only' focus of mom's attention? This is where we can begin to separate the men from the boys. Personally speaking, aside from being totally shocked and awed by the birth experience, I managed to adjust to it, of course. And if I don't talk about how incredible it was to have a child, it is because we all know that. What we don't know much about, and that is the theme here, is how men respond to childbirth. For me it was not so much a big deal ego-wise as it was a surprise to realize how much I depended on being the focus of my wife's attention. It was like "I" had always been the baby and just didn't know it! It is pure lip-service to say that of course dad makes way for baby. What is involved in that transition is a little more involved than that. As mom's attention turns from dad as focus onto the child, dad's focus also changes too, but how? I was used to my wife's attention on me as a support for my own activities. Most wives are more supportive than man have awareness of. Perhaps in the old "hunter- gatherer" tradition, I was the provider and in a way the star of the show. You know, I brought home the bacon. Suddenly my wife was changing focus (and this happened well before the actual birth), and I found I had to support my own self (internally) more than I was used to. My hopes, dreams, and activities were now even more up to me to maintain on my own. My peanut gallery had just disappeared. Mom had other things on her mind. And, as mentioned, this happened months before the birth, and of course intensified once there is the baby to care for. I believe this is a common cause of angst or at least confusion for new fathers; at least it was for me. One obvious realization is that it was no longer just all about me, my dreams, and my experience. My wife had something other than me that required her undivided attention and love, which she so freely gave. Suddenly there was someone closer and more important to her (at least for the moment) than me. Wow! As they say, "Who woulda' thunk it?" Life was now about the three of us (dad, mom, and baby), but for a while mostly about mother and child. I became a kind of 5th and had no idea if that would ever change. Suddenly I was out of the spotlight, watching them. Before she was always watching me. My wife had a new main object of attention and love in the baby. There was a bit of a vacuum there, some small emptiness. At the same time there was more responsibility, another mouth to feed, and probably all kinds of other duties for me, like being on-hand more of the time. Actually I had no idea what additional responsibility having a child entailed, but at moments it seemed (at least in my speculation) possibly unlimited. On the one hand I had been replaced by someone infinitely more pure and deserving than me. I was ashamed for even having any selfish thoughts about myself in the situation. And, at the same time, my freedom perhaps was being curtailed by this new attachment and its additional responsibilities. Remember, I was a free spirit that had (kind of later than most) finally married, with all that it involved. And now a child. Who knows what that meant? And… suddenly I was no longer top gun. In my case, not much of this fazed me. Yes I panicked the day I found out Margaret was pregnant, because we were living on a shoestring. I mean we had nothing. The very next day I went out and took a job on a city garbage truck, if only to prove to myself I was willing to do anything required of me to provide for my wife and family. Well, that only lasted one day. For one, it was real stinky and secondly I realized that I could probably do something other than that. It was soon after that I hung out my shingle and became a full-time professional astrologer. I have always been protective of my creative space, which is part of the reason I had never married. The other part was that until Margaret I had never met someone I wanted to marry. And marriage requires sharing and sacrifice, as those of us who are married well know. Margaret and I are going on our 43rd year. And don't think we don't argue. Sure we do. But having kids was a whole other thing to consider. For one I did not know much about children, barely spoke their language, and all of that. I was not sure what price they would extract from my own freedom, and I was ashamed even to have that thought. Of course my wife had no choice. Her problems were a little more internal than mine, like she was carrying our child inside her. How amazing! There was no place she could hide or go to consider her own freedom. And more than ever before she needed me right there by her side for support -- someone to talk to. I was having all these thoughts, but she was changing physically. Imagine that! The event was transforming her very body into something different, at least for a time. And it was changing her from the inside out. "I am become as sounding brass, or a tinkling cymbal," my own exercise in futility. For lack of a better understanding of what was happening when I was a new father I am afraid I missed a lot, and kind of slept through some of that time struggling with various obscurations. Having my granddaughter Emma (going on two-years old) now living with us for a time has given me a second and much better look at what a mother is than I remember from 40 years ago and the birth of our first child. Wow! How amazing a mom is. How selfless and self-sacrificing. And it is a 24x7 job, on-call all the time. What a way to learn to focus the mind. Mothers have no real choice. Of course I must have seen some of this way back then through the process of four kids, but not like I am seeing it now. My daughter Anne is devoted to Emma, and even my wife Margaret chips in lots of her time. I help out here and there, of course, but not like the girls do. It kind of bends my mind. And then when I consider that it was not that long ago that men were kind enough to allow women to vote, and that some still try to limit the jobs they can have, and all of that. What are we thinking? These mothers have a discipline few men come close to. But what really flips my mind: it is clear that it is not men that are the strongest, but just the reverse. And it is woman who (literally) give birth to men, and then care for us as if we were the most important being in the world to them, and not for a week or two, but for years and years. And after that they love and marry us. I don't want to open a fresh can of worms, but guys: just exactly what is it we do for them that is equivalent? What equivalent sacrifices are we willing to make except perhaps in battle? I can't find anything and I have looked. Please refresh my memory.